PSC Recruitment process for Forest Beat Officers and Assistant Beat Officer posts under Forest department of AP. 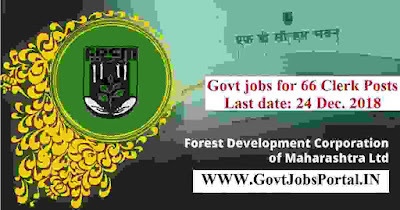 Those who are looking for the Government jobs in Andhra Pradesh can apply for this Forest department recruitment process 2019. Great opportunity to all the candidates who has passed in their 12th class examination in any stream. 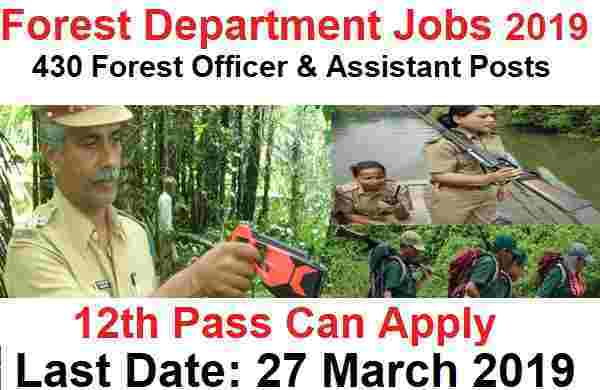 Basically these tare the 12th Pass Government jobs for Officer posts in Forest department. Public Service Commission of AP introduced an official notification on their official website in which they said that they are looking to fill up the vacancies under Forest department of Andhra Pradesh. Job applications are invited through online from eligible candidates for recruitment to the post of Forest Beat Officer & Assistant Beat Officer in A.P. Forest Sub Service, within the age group of 18 to 30 years as on 01.07.2019. The job proforma application will be available on Commission’s Website (https://psc.ap.gov.in) from 05/03/2019 to 27/03/2019 (Note:26/03/2019 is the last date for payment of fee upto 11:59 mid night). That means candidates have to apply online for these Government jobs in AP state. More information related to these Govt jobs in AP is given below in this job posting. Read it carefully before applying online. Pay Band: Rs.16,40 – Rs.49,870 Per Month. Education: Those who have completed their 12th class examination from a well-recognized Education Board of India can apply for this Forest Department recruitment 2019. (or) Applicants who have completed their intermediate educational qualification can apply for these Govt jobs in AP under Forest department. Those whose age lies in between this age criteria can apply online for this Forest department recruitment 2019. What is the Application fee for Applying this PSC Recruitment 2019? Paying Method: Aspirants have to pay the application fee as well as the examination fee through the online mode only. The various method which you can use for online payment of the application fee are: “ Credits Card/Debit card/Net Banking”. 5th March 2019 is the Start Date to Apply. 27th March 2019 is the Last Date to Apply. Gujarat Forest Department is looking to recruit fresher candidates for thew Forest Guard job profiles in the various Distt. All over Gujarat State. Those who are looking for Govt jobs in Gujarat can apply for this Forest department recruitment process 2018. There are total 334 Forest Guard vacancy which are going to be filled up through this Forest Guard recruitment procedure. 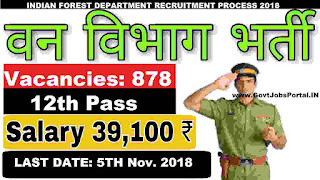 This forest department recruitment process is on regular basis, so those who are going to be selected as Forest Guard will be recruited on regular basis. We took this information from the official PDF file which is also available of the official website of Forest department of Gujarat. 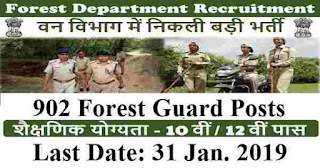 On the basis of that PDF file we shared the whole information related to this Forest Guard recruitment process. So read the whole paragraph carefully if your are wishing to apply for this Forest department recruitment procedure 2018. Pay Band: Not mentioned in the PDF file. TAMIL NADU FOREST UNIFORMED SERVICES RECRUITMENT COMMITTEE is looking for Forest Guard and Forest Guard with Driving Licence posts. Forest Department is looking to recruit fresher candidates for filling up Forest Guard vacancies. So those who are looking for Forest department jobs as a forest Guard can apply for these Government jobs in Tamil Nadu State. (1) A Transgender candidate, who applies as third gender, shall be eligible for appointment in the vacancies reserved for women as well as the vacancies under the General category for this forest department recruitment 2018. (2) A Transgender candidate who applies as female candidate shall produce a self-declaration supported by the Identity card issued by the Tamil Nadu Third gender Welfare Board and shall be considered against the vacancies reserved for women as well as the vacancies under the General category for these Forest Guard Jobs. (3) A Transgender candidate, who applies as male candidate shall produce a self-declaration supported by the Identity card issued by the Tamil Nadu Third gender Welfare Board and shall be considered against the vacancies reserved for General Category. Forest department issued an official PDF file in which they mentioned complete detail related to these Forest Guard Vacancies. We try to explain all the eligibility criteria and other important information related to this Forest Department recruitment process below in this article. So those who are willing to apply these forest Guard vacancy must read this article carefully before applying. 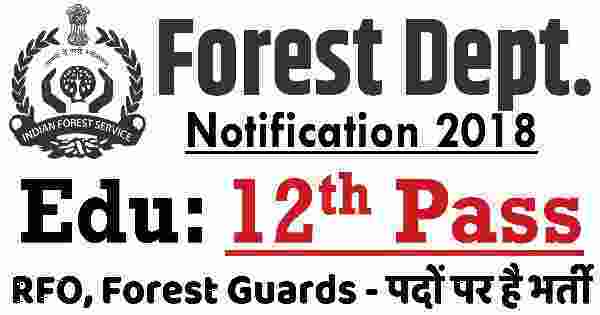 Forest department Recruitment 2018 for Forest Guard jobs under UKSSSC Recruitment process. An official notification is out from forest department that they are looking to recruit fresher Indian candidates under this Indian Forest recruitment process 2018. Indian candidates who are looking for a Government jobs as a forest guard; than they should apply for this Forest department recruitment process. Forest Department decides to fill up the 1200+ Forest Guard jobs through this Forest department recruitment process 2018. Indian candidates who have passed in their 12th class examination are eligible to apply for these Forest guard jobs in India 2018. 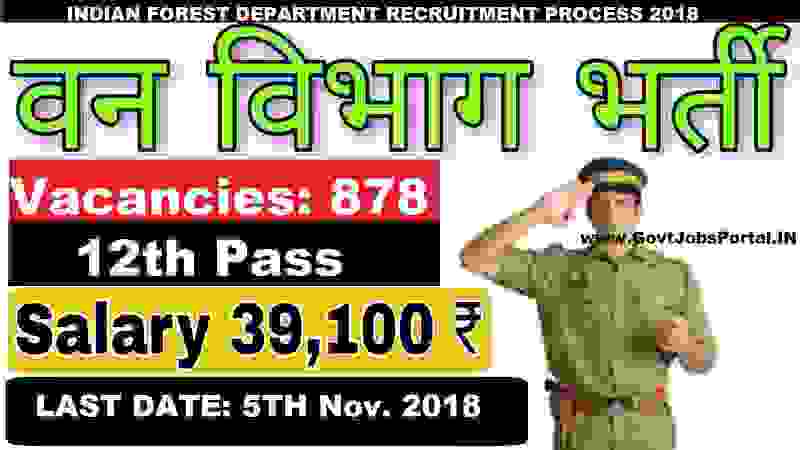 More information about this Forest Department recruitment 2018 is given below in this post; read the whole article carefully before applying for Forest Guard Jobs. Public Service Commission Forest Service jobs has published Employment News for Forest Guard / Forest Ranger Posts. Interested and eligible candidates can have online application scheduled from 04-April-2018 Online can be registered online on the official site, all candidates are requested to submit all necessary employment related information before applying for this government job. Total numbers of vacancies are 26 Posts. Only those candidates are eligible who have passed Graduation in Botany/Chemistry/ Geography or other equivalent qualification and Bachelor’s Degree in Agricultural or Engineering. Indian citizen having age in between 18 to 38 years can apply for this Public Service Commission Forest Service jobs Recruitment 2018. Those who are interested in these Public Service Commission Forest Service jobs in India and meet with the whole eligibility criteria related to these Public Service Commission Forest Service jobs below in the same post. Read the whole article carefully before applying. Educational Qualification: Only those candidates are eligible who have passed Graduation in Botany/Chemistry/ Geography or other equivalent qualification and Bachelor’s Degree in Agricultural or Engineering. Age Criteria: The Contestants applying for the post should be existing between 18 & 38 Years. What is the Selection Process for these Forest Service job? What is the Application Fee for these Forest Service Jobs in India?